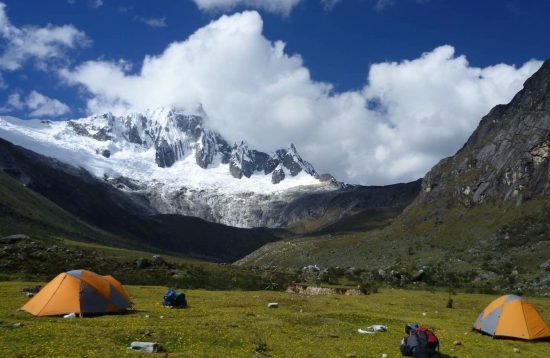 The Contrahierbas massif is one of the less well-known mountain groups in the Cordillera Blanca and is located in the spectacular Ulta Valley surrounded by many of the biggest peaks like Huascaran, Chopicalqui and Chacraraju. 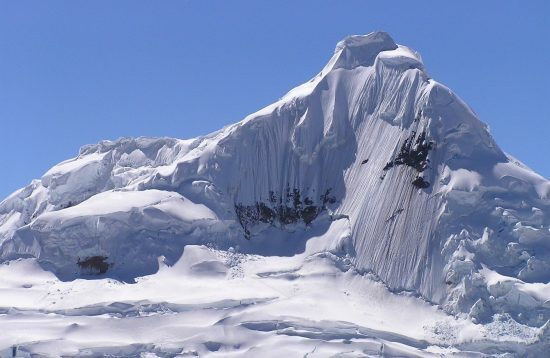 In the southwest ridge, the first peak is the 5’150m high Mateo, which is often used as a training tour before bigger peaks and can be made as a day tour from Huaraz. All about the Mateo Climb 5’150m. 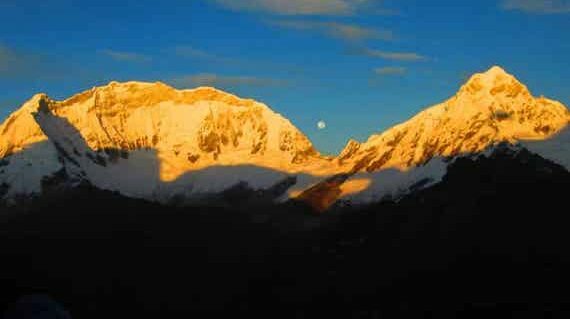 Mateo is a very attractive mountain and a great option for acclimatized trekkers who want to try a first attempt of a 5’000m peak. 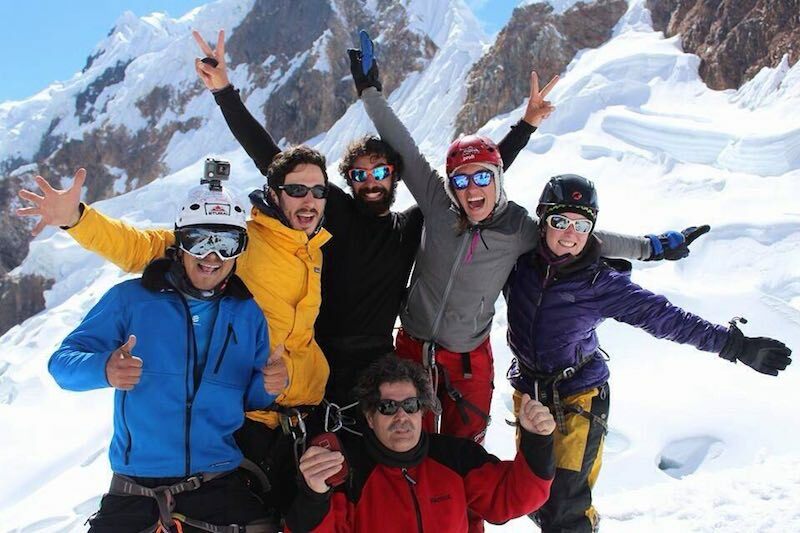 Also suitable for experienced mountaineers, in preparation for higher peaks. 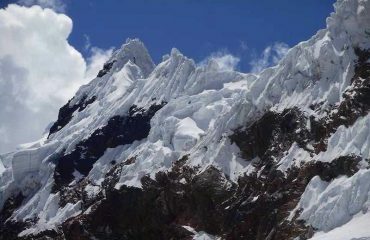 This is one of the only mountains that can be climbed from Huaraz in just one day. 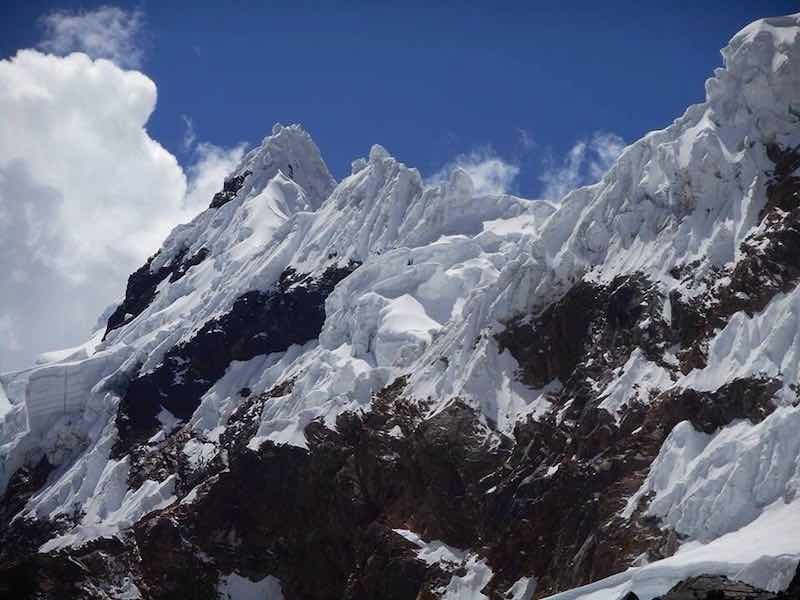 At the summit with its 5’150m you will be rewarded with great views of the Cordillera Blanca. Good physical condition, team spirit and willingness to leave your comfort zone. 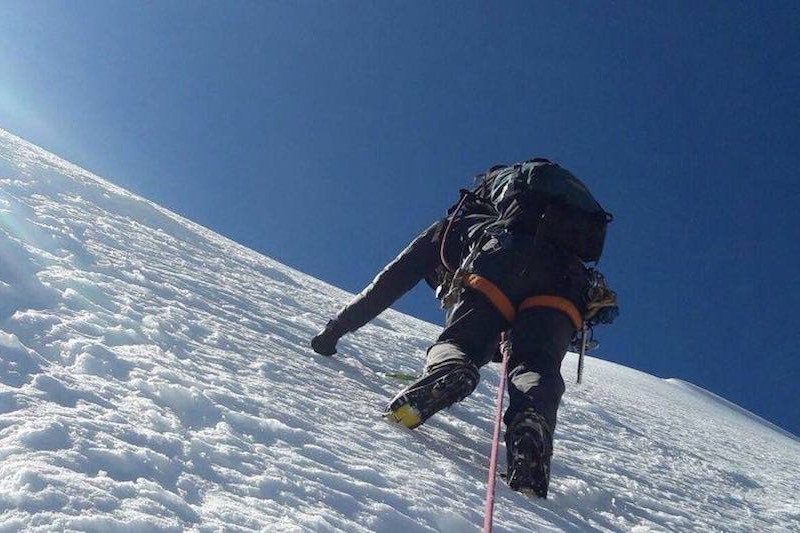 You should only consider these climbs if you are strong, with high fitness levels and able to carry a medium weight backpack on steep terrain over rocky, loose and uneven ground. In preparation for this trip, we recommend extensive walks and conditioning. We pick you up early from your hotel at 03:00am and drive around 2.5 hours through the towns of Carhuaz and Shilla. We follow the road into the Ulta Valley where we drive up a steep zig zag to reach the impressive Punta Olimpica Tunnel at 4740m. The climb starts from the left side of the tunnel climbing up a rocky trail and over moraine rock, sometimes steeply, for around two hours until we reach the Mateo glacier where we put on our climbing gear and rope up. To get onto the glacier we have to initially climb up a 40m steep ice wall and the guide will fix a rope if necessary and help you with this. The rest of the route is a steady climb on mostly nice snow slopes up 40 to 50 degrees, mixed with some steep short sections of hard ice which the guide will help you with. 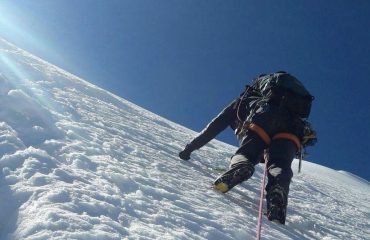 It is around 2 hours climbing from the start of the glacier to the summit. On the broad summit you are rewarded with spectacular views of all the surrounding mountains and good photo opportunities. 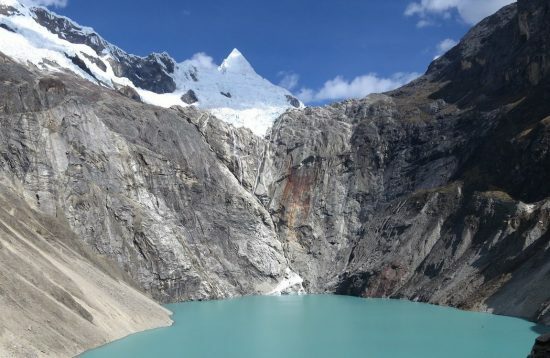 We descend back the same way and drive to Huaraz. You have to be fit, healthy and well acclimated to climb Mateo. You do not have to be an athlete, but have a good level of fitness. 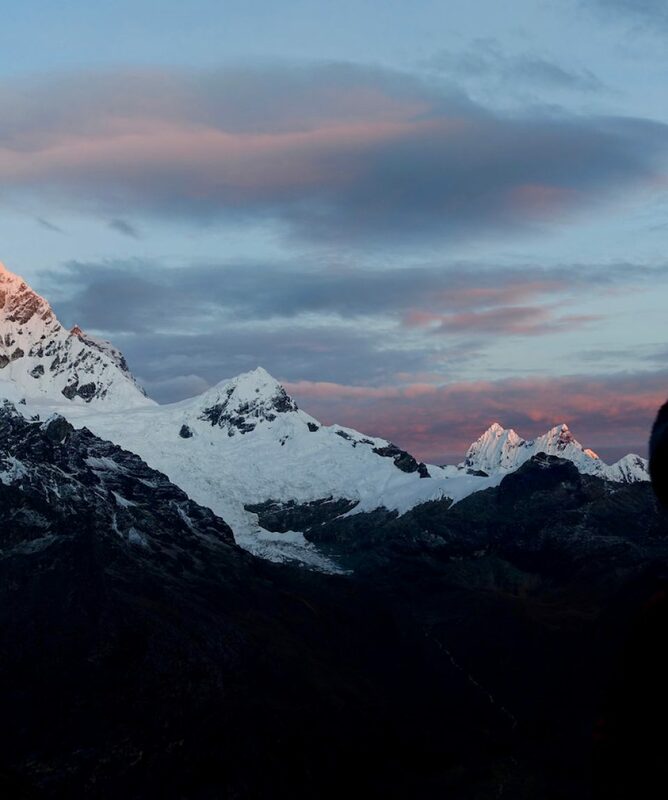 As an indicator, you should be able to hike up to 8 hours with a considerably heavy backpack. 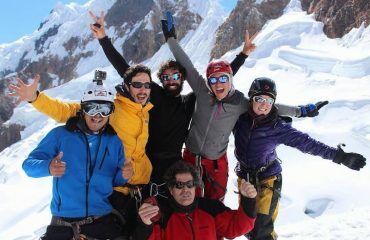 During the expedition we pay attention to a healthy and high-calorie diet. For lunch, a box lunch is served. We can prepare vegetarian dishes on request. You need to carry your own personal gear and box-lunch. 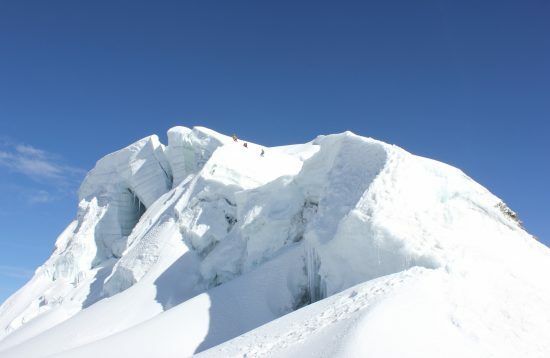 Is this climb suitable for a beginner?Will I get the required equipment loaned?What time am I back in Huaraz? Is this climb suitable for a beginner? Will I get the required equipment loaned? What time am I back in Huaraz? Yes. You do not need special experience to climb Mateo. 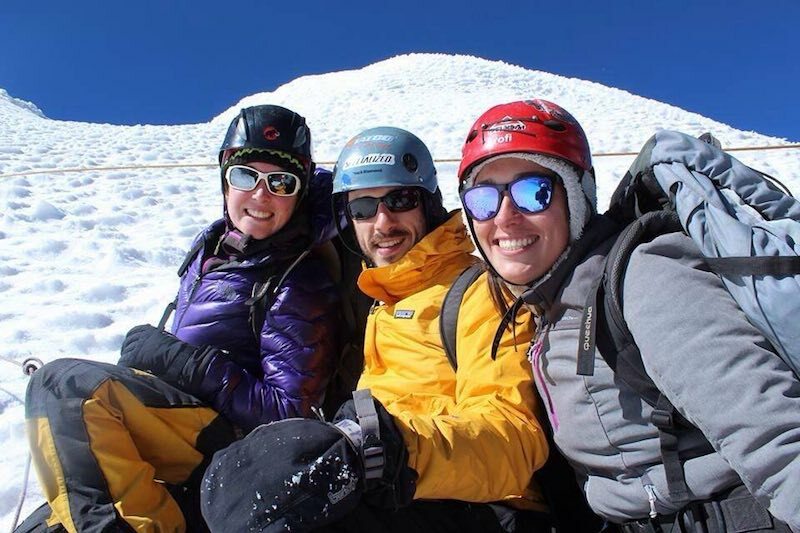 Your guide will show you everything you need to know on the glacier. However, it is very important that you are already acclimatized, in good physical condition and in fitness. Yes. If you do not have your own equipment, we will be happy to equip you with crampons, harness, helmet and ice ax for a small surcharge. 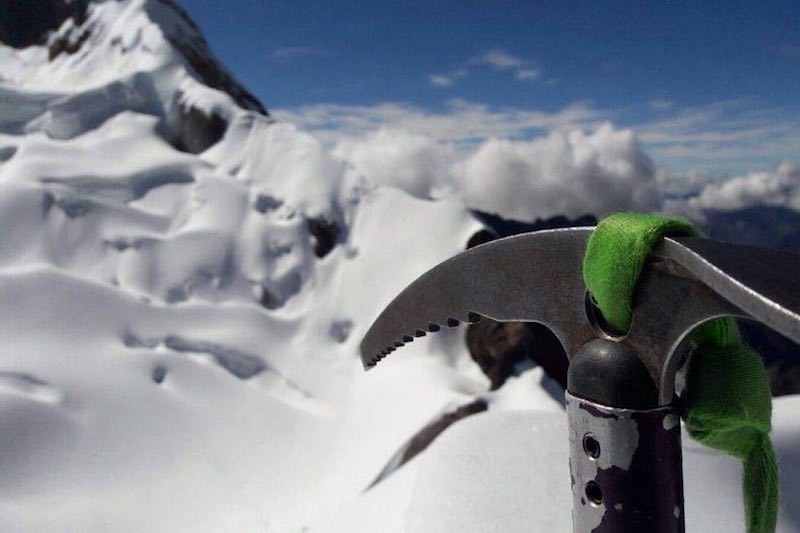 However, you should have your own personal gear, such as mountain boots, waterproof pants and jacket, etc. We can gladly rent you missing equipment. 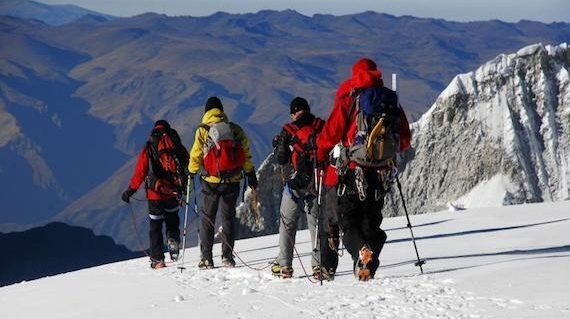 Depending on the speed of the group, we are back in Huaraz between 2 and 4pm.